Join the Eagles Kids Club Today! 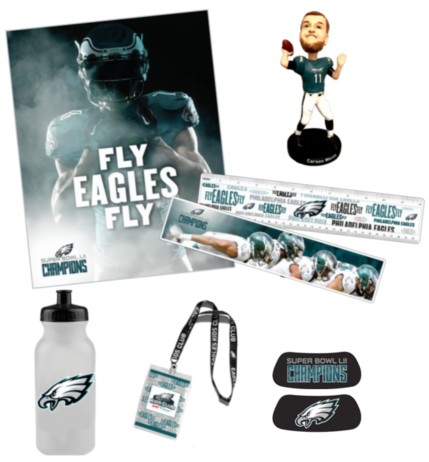 The Eagles Kids Club is the perfect way to share the tradition of Eagles football with the young Eagles fans (ages 5-12) in your life. All one-year memberships include a welcome kit and access to exclusive contests and events throughout the year. Sign them up now and welcome them to the Eagles family. Register for the Eagles Kids Club Here! Registered prior to 4/1/2016? We've updated our platform! Copyright © 2019 Eagles Kids Club. All rights reserved.